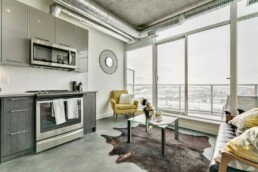 Rent to own a brand new, concrete constructed, loft-inspired penthouse condo at INK by Battistella in East Village. 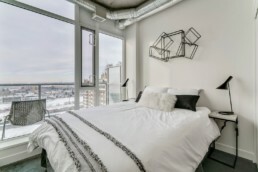 The one bedroom plus den condos feature industrial design elements including polished concrete floors and ceilings, exposed ductwork and piping with floor to 9.5 foot high ceiling windows. 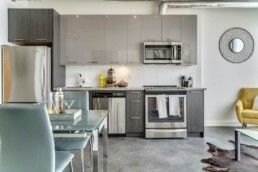 All new full-sized appliances and in-suite laundry (stacked washer and dryer) are included in every home. One year of FREE Internet, cable, and phone from Telus is also included. 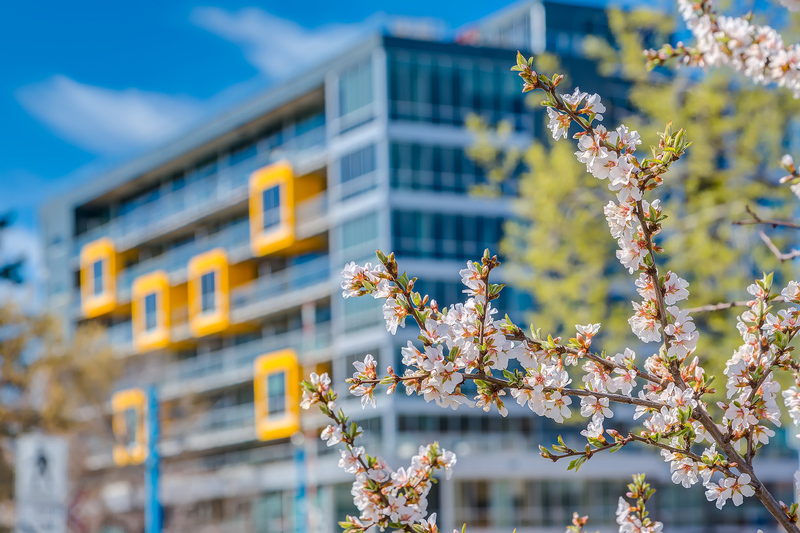 INK tenants have access to all the building’s amenities including a rooftop terrace with a gas fireplace and spectacular views, bike storage, and dog wash station. Pets are welcome with a nonrefundable pet fee and condo board approval. 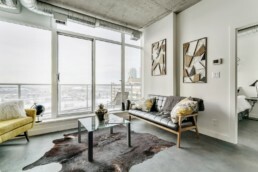 INK in East Village is a short walk to all the downtown amenities with more coming soon including a Loblaws City Market, and Shoppers Drug Mart. There is no down payment required (aside from a damage deposit for the rental) and we can assist with a mortgage pre-approval. Contact us today to find out more.